Whether rigging equipment into place or precisely placing a part into a machine, manual chain lifting hoists fill a niche in a way that no other hoists can. Found in all industries including manufacturing, construction, agriculture, mining, oil and public utilities. Lever pullers, often referred to as come-a-longs or ratchet hoists, are used to both lift and pull items during the rigging process. 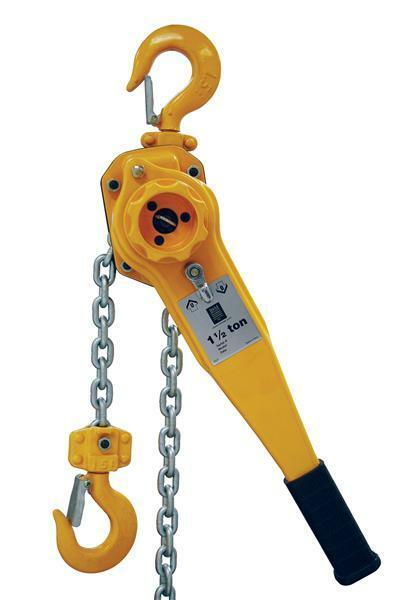 These manual chain hoists are designed to move loads either vertically or horizontally. Lever pullers can be used inverted or for any angle pull. Because of their compact design, these hoists can be used in tight quarters. Lever hoists are usually designed to free wheel for fast/easy movement of the unloaded lifting chain, and they have 360 degree rotation of both the lever and the top swivel hook, allowing for easy rigging. Lever hoists are available in1/4 to 9 ton capacities and larger. Some ¼ ton lever hoists come with optional carrying case that slip onto belts for convenience and mobility. 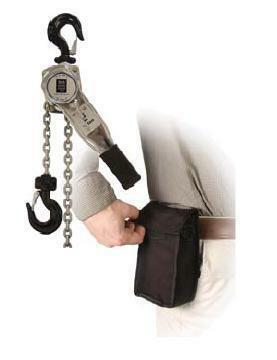 Hand chain hoists are an economical way to lift even the heaviest of loads. With capacities that range from ¼ ton to 50 ton, these hoists are designed to make a big job small. 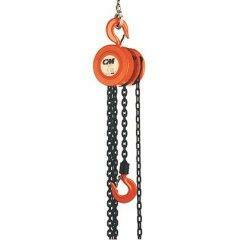 The hand chain is a continuous chain that is looped around a wheel located on the hoist. This wheel is designed with recessed pockets that engage the chain and allow the pulling of the chain to drive the gearbox of the hoist. 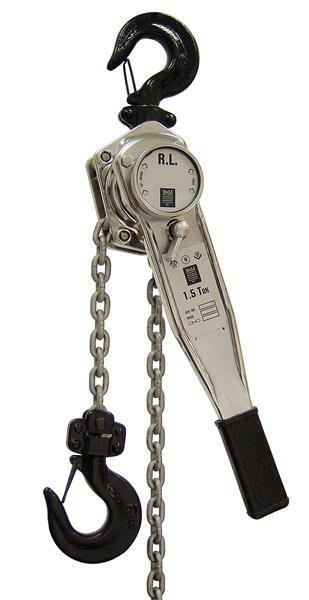 The lifting chain moves up or down when the hand chain is pulled in one direction or the other and can be reeved with several stands of chain (falls) depending on the capacity of the hoist. Common uses include construction, maintenance, and precision lifting applications. Low headroom chain hoist trolleys are available. Spark resistant features are available including stainless steel and bronze hooks, chains, wheels, etc. A CraneWerks representative is available to help you make the correct manual chain hoist selection. Call or write to us for answers to questions you may have concerning these economical, versatile tools. Most manual chain hoists can be quoted same day if needed.